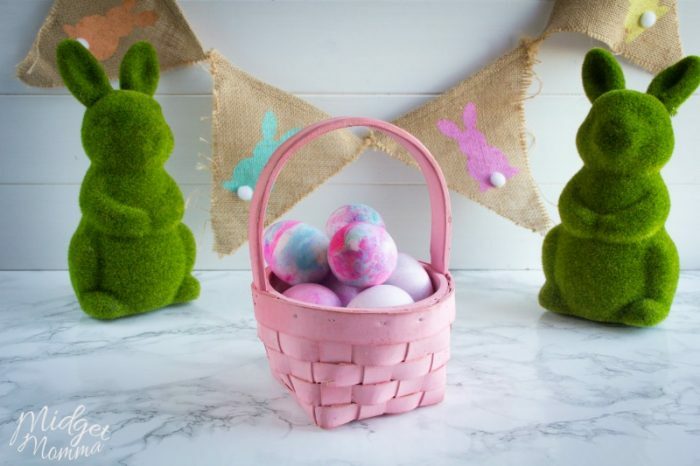 If you are looking for a SUPER easy and fun way to dye the easter eggs this year then you are going to love this How to Dye Easter Eggs with Shaving Cream step by step tutorial. 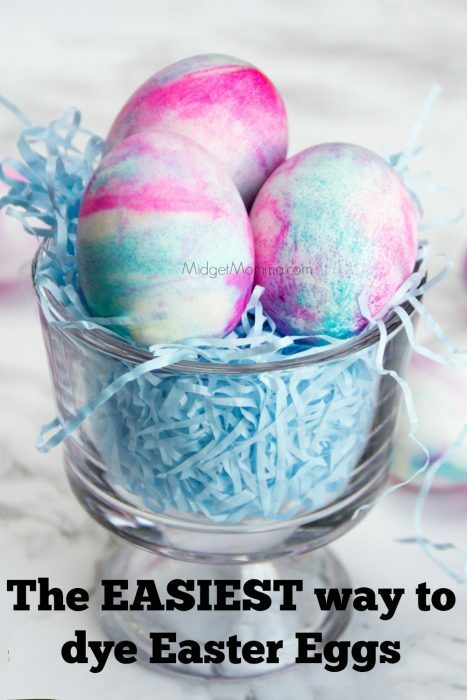 Once you learn How to Dye Easter Eggs with Shaving Cream you will never use those egg dye cups with water and tablet (that make a huge mess) again! SUPER Easy Easter Egg Dying for little kids! Around my house dying of Easter eggs hasn’t changed much since I was a little kid. We always go to the store buy one of those kits that you put a little color tablet into vinegar and then place your eggs into the solution. The only thing that has really changed since I was a kid with those kits is that it now come with stickers and sometimes a white crayon to draw on your egg first. This is super messy and normally ends up with someone spilling a cup of dye. 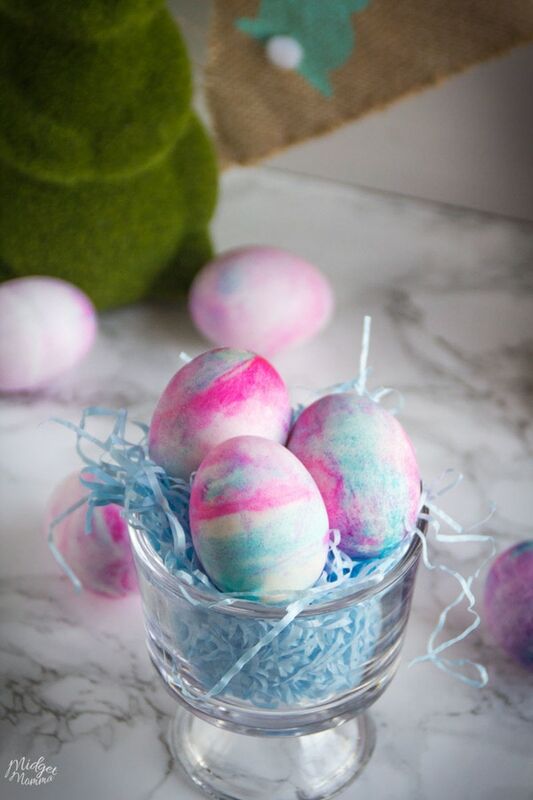 This year I thought I would try something else and I have found this Easy Easter Egg Dying is the BEST way to dye Easter Eggs with kids! With two little kids under the age of five in our house, our eggs always end up this brownish color because they think it’s fun to dip them in each cup of color. I wanted to have a fun way to dye our eggs without ending up with gross colored eggs. My kids had so much fun coloring the eggs using the shaving cream method. If your kids a neat freak like my daughter you will want them to wear gloves while they touch the eggs. The food coloring will stain your hands but it tends to come off after a day or two. If you plan on eating the hard boiled eggs you can do the same exact thing using cool whip instead of the shaving cream if you would prefer to. However I am now 33 years old and have eaten eggs dyed in shaving cream, but it is easy to do with cool whip if you prefer, just change out cool whip for the shaving cream. But I will also tell you that when you are making tie dye Easter eggs with cool whip the colors are not as vibrant as when you use shaving cream. Spray the can of shaving cream or tub of cool whip into a 9×13 inch pan. Add drops of the food coloring around the shaving cream, making sure to use different colors so the eggs will be tye dyed. 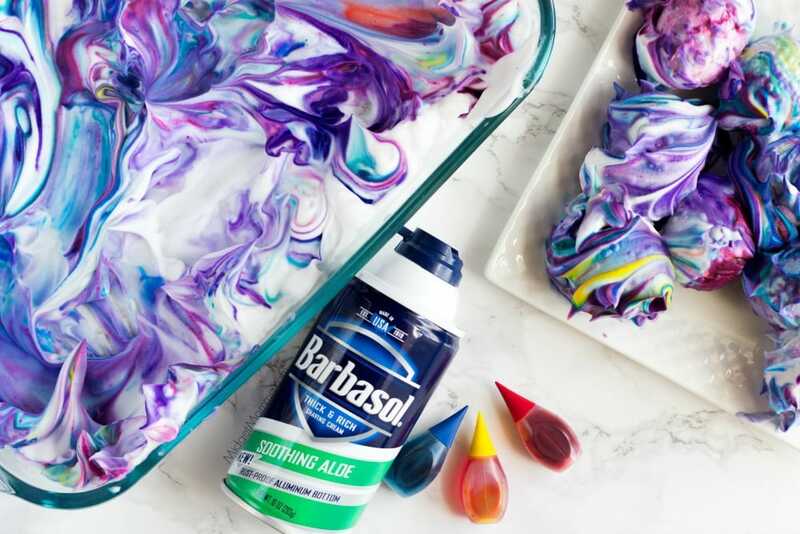 Use your skewers to swirl the colors into the shaving cream. Roll the eggs into the shaving cream and set them aside for 10 minutes with the shaving cream on them. Rinse the eggs off with running water. Keep your eggs in your fridge until you would like to display them.